Free with advance registration. Click the link below, call 608-264-6555, or email museum@wisconsinhistory.org to sign up. 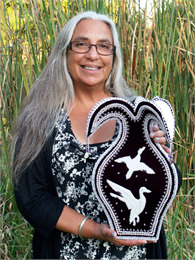 Oneida Nation member Karen Ann Hoffman of Stevens Point with raised beadwork urn recently purchased by the Smithsonian National Museum of the American Indian for their permanent collection. 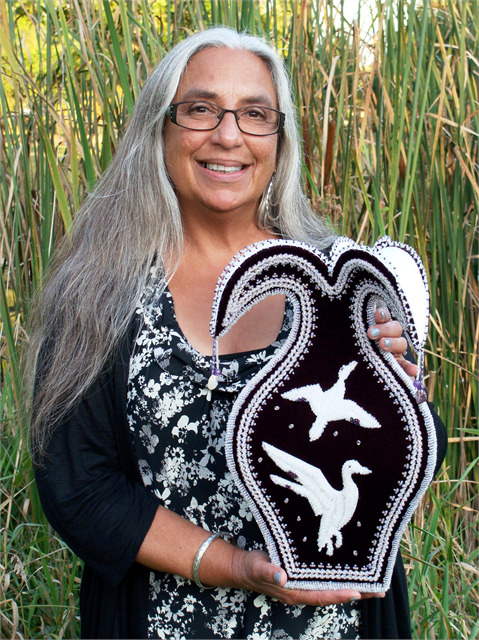 This month, learn about the tradition of Iroquois Raised Beadwork with Oneida artist Karen Ann Hoffman. SPARK! is a free, monthly program for people experiencing early to mid-stage memory loss and their care partners. SPARK! programs feature interactive exhibit experiences in a welcoming environment with specially trained museum staff and volunteers. Participants are engaged in lively discussions, object handling, and other multi-sensory activities. Advance registration is required for SPARK! programs. Please see panel on right for details on how to sign up for this month's program. For a full schedule of the museum's SPARK! programs, click here. Because of size limitations in our exhibit spaces, the museum may need to schedule a special SPARK! session for you on a different date. Please call 608-264-6555 or email museum@wisconsinhistory.org for more information. 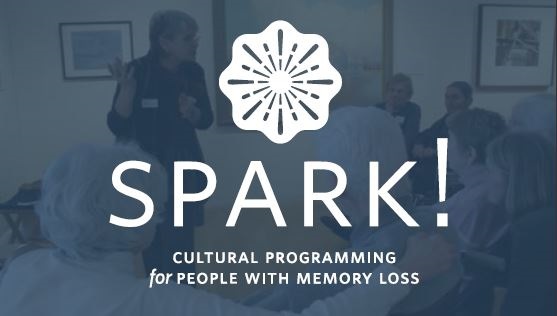 The Wisconsin Historical Museum is a member of the SPARK! Alliance. The SPARK! Alliance is a foundation of 22 museums and cultural centers across Wisconsin and Minnesota committed to the inception, development, facilitation and sustainability of cultural programs for people with memory loss and their caregivers. For more information, visit www.sparkprograms.org.